Since glaucoma is produced by many different conditions, it occurs at all ages and in all races. However, some people are at greater risk than others. A. People over age 45. While glaucoma can develop in younger patients, it occurs more frequently with age. B. People with a family history of glaucoma. This applies particularly to people with pigmentary glaucoma, which is strongly inherited. Juvenile POAG is also commonly inherited. A number of rare types are genetic. Adult onset POAG and exfoliation syndrome may have some hereditary tendency, but data is tenuous. C. Myopes are more prone to develop open-angle glaucoma. Hyperopes are more prone to develop angle-closure glaucoma. D. There is no glaucoma exclusive to any race or ethnic group. However, there are some rough epidemiologic rules. Persons of African descent are more prone to develop POAG, by a ratio to about 4:1 compared to Caucasians. Pigmentary glaucoma occurs almost exclusively in Caucasians. Angle-closure is more common than open-angle glaucoma in Asians. Everyone can develop exfoliation syndrome, but it appears to be most common in those of European descent. A variety of diagnostic tools aid in determining the presence, absence, or predisposition to glaucoma. From a functional standpoint, a "normal" IOP is one that does not result in glaucomatous optic nerve head damage. Because not all eyes respond similarly to a particular IOP level, a normal pressure cannot be represented as a specific measurement. Therefore, the most that we can expect is to determine their relative chance of developing glaucoma at different pressure levels given the knowledge of the distribution of IOP in general populations and in populations of individuals with glaucomatous damage. The tonometer measures IOP. In applanation tonometry, the eye is anesthetized with drops and, at the slit lamp, a plastic prism is lightly placed on the cornea. A strain gauge determines IOP. In air tonometry, which is less accurate, a puff of air is sent onto the cornea to take the measurement. Since this instrument does not come in direct contact with the cornea, no anesthetic eye drops are required. The optic nerve can be seen directly by the examiner using an instrument called an ophthalmoscope. The color and appearance of the disc can indicate whether or not damage from glaucoma is present and how extensive it is. The cup-to-disc ratio has long been a fundamental measure of glaucoma damage, or "cupping". It is the ratio of the horizontal diameter of the "cup" of the optic disc to the horizontal diameter of the entire disc. Here's a good way to look at the cup-disc ratio and how it's affected by glaucoma. The optic nerve in the back of the eye is about 1.5 millimeters in diameter. The average normal optic disc has an area of approximately 2.1 mm2 to 2.7 mm2. The retinal ganglion cells number about 1,000,000. At the optic disc, the axons of the retinal ganglion cells, which carry the visual impulses to the brain, gather together and exit the eye through the scleral canal, which forms the optic disc margin (see figures). The ganglion cell axon bundles bend approximately 90¡ backward at the level of the scleral canal rim. The area of the bending axons from the disc margin to the edge of the optic cup is known as the disc rim, neural rim or neuroretinal rim. In addition to nerve fibers, the optic nerve head contains glial tissue, blood vessels, capillaries, and extracellular space. 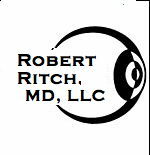 Through an ophthalmoscope, the disc looks like the saucer that goes with a coffee cup, the center portion being the cup and the remainder of the saucer being composed of the nerve fibers (neuroretinal rim). The retinal arteries and veins pass through the center portion of the cup and travel initially down the central portion of the optic nerve. When glaucoma damage occurs, the center part enlarges and the rim gets smaller. The spaghetti analogy: Picture a bowl with a million strands of spaghetti hanging over the rim, half in and half out. There will only be a small area in the center for the sauce - that's the cup. A larger bowl will have a larger circumference and volume and thus the height of the pile of spagheti strands won't be as high and the area in the center for the sauce will be larger. That's why cup-disc ratios can vary in the normal population - according to disc size. If you start eating the strands of spaghetti, the same analogy applies - here the disc is constant but the neuroretinal rim decreases in size, and the area for the sauce is larger - which equals glaucomatous cupping. There is no standard pattern for the development of glaucomatous cupping of the ONH. This cupping may begin as a symmetric enlargement of the physiological cup, but usually some portion of the rim erodes more rapidly than the rest. Usually the inferior temporal or, less commonly, the superior temporal rim becomes thinner. Occasionally this thinning is localized and seen as a notch or less frequently a pit at the disc rim. If notches are present both inferiorly and superiorly, the cup becomes vertically oval like a football. The slope of the wall of the disc cup generally is steepest nasally and becomes shallowest temporally, with the upper pole having a somewhat steeper slope than the lower pole. As the cup enlarges, the retinal vessels, which usually pass perpendicularly through the disc tissue to reach the retina, are pushed aside following the receding nasal wall of the cup. Where the vessels shift from a more vertical orientation along the cup wall to a horizontal orientation on the retinal surface, there is a bend in the vessel. Change in the shape or position of that bend, as seen in subsequent photographs, is a sensitive indicator of disc change and can be monitored with computer analysis. Vessels that pass circumferentially across the temporal aspect of the cup are called circumlinear vessels. If they pass through the exposed depths of the cup, they are "bared." Baring of circumlinear vessels is seen because as the cup recedes, it exposes the vessel. It is seen commonly in glaucomatous cups but may be seen in normal cups as well. As the cup enlarges, its color often turns from pink to white in the terminal stages. Cupping occurs slowly unless the pressure is very high. We have seen patients with pressure in the 40s develop an increase of 0.2 to 0.3 in cup/disc ratio in a matter of weeks. In young children and infants, the elastic scleral rings allow disc cupping to be produced by pressure on the globe during examination of the patient under anesthesia. This is fully reversible. Reversal of disc cupping can be dramatic in young patients following surgical or medical lowering of intraocular pressure. Reversal is less dramatic in older patients, presumably because reduced elasticity of the scleral tissue in older patients does not allow the cup to resume its prior configuration. Also, cupping that results from actual loss of nerve tissue is unlikely to reverse. Compressive lesions of the extrabulbar portion of the optic nerve can cause profound visual loss that may recover dramatically when the compression is relieved. Therefore, the compressive lesion may injure but not destroy the optic nerve. In glaucoma, this phenomenon exists to a small degree in that apparent recovery of visual field loss has occurred following treatment of glaucoma. Spaeth et al. suggest this as one way of recognizing the adequacy of treatment. This recovery is never great, and in most glaucoma cases some amount of nerve fiber loss precedes development of visual field loss. Thus damage to the ONH and the nerve fiber bundles entering it lead to visual field loss. As the axons die, they occupy less space in the scleral canal, and the cup enlarges. As stated earlier, Quigley found up to 40% of some nerves could be lost without having any recognizable field defect on Goldmann perimetry. Thus, nerve damage can occur and progress with little or no field defect. As visual field testing apparatus improves and as normal data bases become available for comparative analysis of visual fields, earlier recognition of visual field loss should be possible. For now, progressive optic disc cupping without visual field loss should be considered an early indicator of glaucoma, assuming no other disease process is occurring. In this test, a mirrored lens is placed on the cornea, allowing the examiner to view the angle directly. Narrow angles and angle-closure can be detected. This test should be performed routinely on any initial complete eye examination and patients with narrow angles should be gonioscoped at routine intervals to inspect for further narrowing or capability of closure.